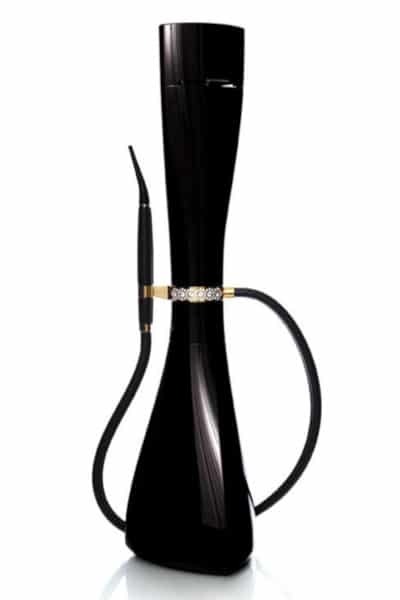 The Onyx shisha is made of pure onyx. The patented center ring is not only beautifully embellished with Swarovski crystals on all sides, each one sanded and polished by hand, but also engineered to allow the pipe to rotate around its own axis. The mouthpiece brings Sweden’s artistic heritage, created from rare reindeer antler carvings made by the indigenous Sarni people. When not in use, a strategically-placed magnet holds the mouthpiece perfectly to the tower.